Obesity not only makes you feel shy about yourself in social gatherings, but also brings other health problems like joint pain and heart attack. In the market you’ll find many shortcuts to lose weight, but are big failures in the long run and unsafe. Ayurveda believes, it is a condition of abnormal body weight caused due to imbalance of kapha, vata and pitha, and suggests panchakarma, proper diet and healthy lifestyle for healthy wellbeing of the individual. Surprised? Many people consider obesity as an expression of prosperity, but what they don’t know is, it can cause bone loss and arthritis! Our body is supported by a framework of bones called skeleton with a certain capacity to bear load. When the bodyweight increases, bones and joints take the toll resulting in arthritis and fracture. Maintaining healthy bodyweight ensures healthier bones. Fibrous food is essential to induce digestion of foods, absorption of nutrients and elimination of wastes. Impaired digestion leads to health problems like constipation, abnormal accumulation of fats, improper digestion, and vomiting. These days you’ll find canned foods containing gluten with little or no fibrous content; your favorite noodles, bread, macaroni or burger come under this category. Following healthy diet regimen containing fibre-rich diet health is a must to maintain a healthy digestive system. Leading a couch potato life, gorging on junk food exposes you to cardiac health problems. Exercising regularly burns fat and pumps in good hormones to keep your heart healthy. It also fine tunes your body making your blood vessels work efficiently eliminating risks that need surgical interventions like angioplasty to save life. Health problems like diabetes can make you permanently dependant on regular insulin shots. Do you know, one of most avoided vegetable like bitter gourd can save your life? Bitter gourd contains a compound called charantin that reduces blood glucose by increasing insulin level. Insulin breaks down glucose thus helping you avoid dependency on regular insulin shots for controlling glucose surges. Go Hitchhiking… Ride without money! Hitchhiking is a non-formal travel means, asking strangers for a ride in their vehicles to travel a distance that is either short or long. But the main purpose is to reach your destination with little cost. Hitchhiking became common during the years of Great Depression in US when people had very less job options and started migrating towards other parts of the country to find employment. During those times the Federal Government gave its acceptance for hitchhiking when Federal Transient Bureau was handling the migration of unemployed persons. Federal Transient Bureau gave food and shelter to the transients till the year 1936. But problems started when some persons who posed as hitchhikers started robbing and even murdering the drivers. There were instances where drivers committed crime on hitchhikers. Hitchhiking is about travelling without paying money that may involve some interesting discussions with the driver. The discussions may involve telling the purpose of travel, or something interesting about your place and people, or about worldly things. Sometimes the driver may feel happy just for having the company of the new person. But in some parts of Central Asia they may charge some amount, especially if the hitchhiker is a foreigner. In one movie “It Happened One Night” female hitchhikers exposed their legs to get a ride. Many authors have even written books on hitchhiking such as Jack Kerouac who immortalized it by his book “On the Road”, and Roald Dahl wrote in his book “The Hitchhiker” the stories one may hear while giving someone a ride. Hitchhiking gestures vary across countries, and a normal gesture in one country is taboo elsewhere. Cultural differences or obscene meaning associated with it is the reason for that. Different gestures are used to hitchhike. For e.g., in US, one may gesture with thumb up; in South America they may show back of one’s hand with the index finger pointing up; in Israel, one may hold one’s fist out with the index finger pointing towards the way; in India, people may gesture in an US way or may wave one’s hands, moving their down facing palm up and down. In China, you cannot consider covering many miles hitchhiking and trying it in Tibet is also banned. In Thailand, using left hand gesture is of no use as its only use is for bodily uses. People in Italy may consider showing of thumb as an offensive sexual sign. In Greece nodding of one’s head sideways means “yes”. Hitchhiking in France’s Mediterranean coast is pleasurable, where you’ll find many cars and friendly people. In countries like Germany you have to ask people for ride instead of standing and making gestures, exceptions for this are the countries such as Australia or New Zealand. For hitchhiking two is the maximum limit of people. Hitchhiking is both an adventure as well as a challenge as it involves extensive travelling with comfortable and rough, good well as bad experiences. In UK, thousands of students involve in it and travel thousands of miles; Durham University started a competition, where one who travelled farthest without spending any money was awarded the title of best hitchhiker. Hitchhiking is a beautiful experience if one is not rushing for some job or some work. It is a feeling of freedom as one will be moving in an unconventional way, and having a close encounters with nature, people, society and the world. Those who just do it for the sake of adventure go all out for it and find summer as the best time. In India many go for adventure tours or visit holy places. Hitchhiking is possible in any part of the world and connecting with people is the key that will make your hitchhiking more easy and pleasant. If you are smart enough you can complete the whole trip hitchhiking. But make sure you know some important things beforehand to make their trip safe and enjoyable. Take precautions and be prepared to walk all the way if you don’t get a ride. Don’t be demanding if one doesn’t agree. In some countries hitchhiking or standing for the same in highways is illegal. Get one good map which shows important things such as places for boarding and lodging in more detail. Scan your ID (visa and passport, if travelling internationally) and keep a soft copy in your e-mail. Keep bank account & customer care number of your credit and debit card before you leave; if it is lost you can call and immediately freeze your account. Have enough money, but do not carry valuables. Keep flash light, good bright clothes to suit that climate, things for protection against rain, and sufficient food and drink. Stealing is the left out option if all food options vanish. Keep a tent and a soft handy sleeping bag if you don’t get place for sleep. Keep your luggage and money close to you. Wash your clothes where possible or keep some extra clothes. Can get bath in public toilets or in pools. Travel light. Pack some pepper spray or penknife if you meet a shady person, on or off the road. Women should wear either wedding ring or some ornament of marriage, and have a ready-made line of words ready that makes the other person know that her spouse is waiting at the destination. Take a front seat as back seat will have child lock and in case of problem it would be difficult to come out. Make a sign in a cardboard by permanent marker for making them read and understand as you are literate and safe for a ride. Find a good place for hitchhiking such as near gas stations, picnic areas, border of town that is away from bus stops and city limits in the direction in which you have to move. Dress yourself neatly, don’t drink, and try not to get drenched; avoid looking like a jailbreak or like freak. Confirm where they are going before taking a ride. Make an eye contact and keep a pleasant smile. Talk with the driver in a friendly way. Recently, I was watching this Hollywood movie “The 13th Warrior” with friends and in this particular scene, the warriors spat and blew their noses into a communal water basin and drank from it, my stomach wriggled. That scene also reminded me of a birthday party in a media company where people shared the cake tasted by others, a saliva contaminated one !!! Sharing foods is not a bad idea, when it is for the needy ones and is hygienic. But occasions such as party, especially the ones involving close friends and acquaintances, are potential situations where saliva contamination can occur. Sometimes, a management’s interested in advertising their fun office culture, or people considering it as a way to develop closer bonds. I am of the view that consuming saliva contaminated foods is risky as saliva harbors harmful bacteria and viruses. It need not be only through foods bitten by others, but also through hands or fingers that hold the foods and reach the mouth. I have always been an avid follower of topics related to science, medicine and hygiene, and unhygienic food habits make me wonder if people truly are aware of health risks or not. Some may or may not feel the same way, but the medical facts about diseases that spread through saliva are here to stay. But I am confident, there are millions who share the same view as of mine. Cultures affect people’s lifestyles and you can see them in their peculiar behaviors & traditions. Recent trends in changing lifestyles show that the world is gradually drifting towards west. Here are some surprising ones. Japanese bowing at each other to greet and use chopsticks to eat. African tribals rub each others’ nose to greet. Americans shake hands, hug or make each others’ cheeks touch to greet (but sometime go overboard like Mr. Obama kissed Aung San Suu Kyi). Hygienic habits such as washing hands, keeping surroundings clean are better ways to keep disease at bay, whereas spitting pan on walls, urinating in public places, so on are dirty and can become breeding grounds of diseases!!! Saliva contains bacteria and viruses that can potentially carry health problems such as cold, fever (glandular), herpes infection, meningococcal disease, hepatitis B, warts and so on. Saliva contamination or unhygienic health conditions or water can also cause jaundice. Saliva exchange can happen in many ways – kissing, sharing foods, so on… Some may find them as ways to connect with people, but potential dangers wait for their turn to take control of your body resistance! As is obvious from the above situations that there’s no substitute for hygienic food habits and lifestyle. Practice healthy lifestyle and keep diseases at bay. iPhone 4S has been in demand even though it is already two years since its launch on October 04, 2011. iPhones 4 and 5 come packed with some of the refined features of 4S. iPhone 4S also offers a strong competition to Samsung Galaxy S2 and Nokia Lumia. It holds some of the best features in terms of camera, processor, operating system, body, and so on. For those who expected a complete overhaul in design over iPhone 4 the 4S may not come as a drastic change as there is not much to offer in this domain. But holding iPhone 4S will give you a solid feel due to its stainless steel body and you will always feel like a proud owner. Its flat scratch-resistant glass back marks the entry of a true fifth generation mobile phone in terms of design. Power/lock button, headphone jack and microphone options are at the top side of the phone. Your callers can now hear your voice free from disturbances. You can now easily slip your phone in your shirt pocket without bothering to remove your headphone from the jack even while travelling. 4S retina display lets you watch crystal clear images and videos. You can boast of camera quality of 4S as it giveg tough competition to the companies solely devoted to manufacturing advanced cameras, as the photos and videos are absolutely out of the world experience. Its Corning Gorilla Glass display can withstand all wear and tear with ease, so your phone will look new for years. Its 16/32/64 GB storage to allows you store your favorite photos, eBooks, movies and videos as well as comes in your budget. Micro SIM card slot is at the right side of the phone which lets you remove card with tool or a paperclip. 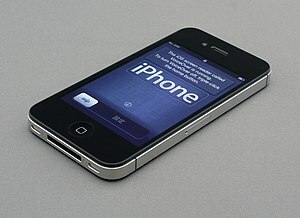 iPhone 4S has with Dual-core 1 GHz Cortex-A processor that runs your tools with ease. You can expect the 4S graphics to be seven times better than its older versions. 4S has iOS 5.1.1 that lets you send unlimited text messages to other iOS phones using iMessage program. Multitasking with 4S is very easy with just a second needed to switch between apps. Above features will sure make you yearn to get this gadget in your hand, but you may like to give a second consideration about the price where iPhone 4S bites your pocket. IT security always remained an issue of strategic importance for any country or an organization, or at least since the computers are storing, connecting and sharing data across the continents through networks. Despite risks of phishing, malware, hacking, thefts of on-line identity and money, world nations have always overlooked IT security as an issue of national concern as trusted organizations dealt with it. But recent revelation of USA found snooping on to the other countries’ data and Uncle Sam pointing towards Huawei that the enterprise is spying on other countries the issue has regained the tag of hot topic of debate all over the world. The term hacking represents the means of getting access to the data by overcoming the network security through weak points. Hacking can happen anywhere where the wireless or wired access to the networks is available and you are subscribing to it. You may get a mail with a hyper-link tempting you to get access to million dollars of bucks that are kept in store for you. Or without your knowledge the hacker may surpass your security using the network and tamper with the crucial documents. Providing security to your on-line data in such conditions is all what IT security about, but the scale may vary from an individual to the national. White and Black Hat hackers are the terms used to name hackers who try to get access to the network for good and bad purpose, respectively. These hackers use vulnerability scanning tools to find the weak spots of an enterprise’s network security such as defects in system configuration and codes, and malware and patching updates that are missing. The availability of plethora of web applications to explore the vulnerable spots for hacking, has made the networks and data highly favorable targets to cripple a country’s economy. There are active and passive vulnerability scanning tools that target busy and calm areas of the network to find IT security lapses. These tools are used together to generate report on the weak spots of the network and care is a must to decipher the reports as system files may also be reported by them. To be more effective these tools need human intervention to find risks more accurately as the tools are more of identifying unlike blocking of the attacks done by firewalls. World countries such as UK, Australia, India, Africa and Singapore gave a mixed response on the issue with India planning to develop a body called National Cyber Coordination Centre (NCCC) to assess IT security threats; Singapore and Africa calling for action on lapses on IT security. In the meanwhile, the USA defended its actions as for a good cause and the Huawei rejected the accusation by USA and expressed its wish to explore other means of on-line security. Besides all these a latest report by China says, bit coins, the virtual currencies, used in on-line financial transactions have become the most favorable target of hackers. 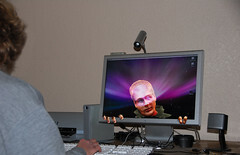 To achieve their missions the hackers use botnet computers, the computers connected to network that are used by them to transmit viruses or spam messages to other computers without the knowledge of the user. All these have raised concerns about the IT security and increased the demand for people qualified for identifying and overcoming such threats. Various courses – direct and online – are available that can help you become a qualified IT security professional. You can search the internet for more details on IT security and hacking and the institutions that are offering courses on them. Note: You may like to check other blogs as well on topics related to Management, Automobiles, Lifestyle and Gadgets at https://vinodkumaracharya.wordpress.com. Building high performance team in the recent times when organizations and business enterprises are blooming enormously and creating innumerable employment opportunities have become a necessity for any organization. Organizational structure has changed from traditional to modern and has become more complex with the blending of computers and automation. Building high performance team and managing it in an organization has also become quite challenging with changed work flow and the needs of the business. In general organizations have distinct structure defined as horizontals and verticals involving the employees involved in it. To effectively manage the workforce and reach the required target one needs to have knack to build and manage a team. Building high performance team and managing it are very important steps in achieving the organizational goals and in becoming a successful manager or a team leader. Consider any organization, you will find a team, a lead, a supervisor, and a manager, but to bring harmony among your team mates and to make them work towards reaching the targets you need to have leadership quality and knowledge of building teams. Teams managed improperly or by inefficiently can lead to burnout and low performance of workforce and thus cause excessive burden to the organization. Here are some of the points to build high performance teams which if followed can make you tick among all. It is always advised to select the candidate with good social skills as a lone player cannot do much where a collaborative effort is required. Select team that can bond well with each other as their collective behaviors drive the efforts to success; but always remember that a doer is better than an onlooker and give the better player a right place in the organization. Victimization of a team member cannot also be accepted in a team setup as your team’s abilities will become handicapped. Building a strong team is about telling the team about maintaining the legacy of the company. Concentrating on achieving the organizational goals and defining clearly the role of an individual in the process is highly important as it can prevent conflicts and distractions from goals. Some are more equal than others – this can be true when high performers are concerned. Concentrate on bringing the best out of the weakest performer and where the person can give the best. Make your team realize that tougher the challenge sweetest will be the success both in terms of competitors as well as the organizational goals. Always make sure that you and your team share only constructive comments. Make your team learn new skills and give them enough support till they start performing in the new work environment. 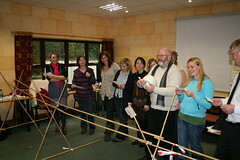 Make the work environment safe and lively and involve activities that strengthen the team. Implementing the above points and continuously evolving from above basics can make you a better team lead and a manager. You can learn more about building high performance teams through sources available on-line.